After 65 years of service Past Chief (1957 - 1959) Guy L. McGowan passed away on July 4th. Guy McGowan was born and raised in the town of Penfield, graduated in the class of 1938 from Penfield High in a class less then 50 people. From there Guy joined the army and ended up in Norwich Vermont for officer training. He then ended up in World War two as a captain of a Stewart Tank division traveling from Africa, to Europe, then to the Phillipines. 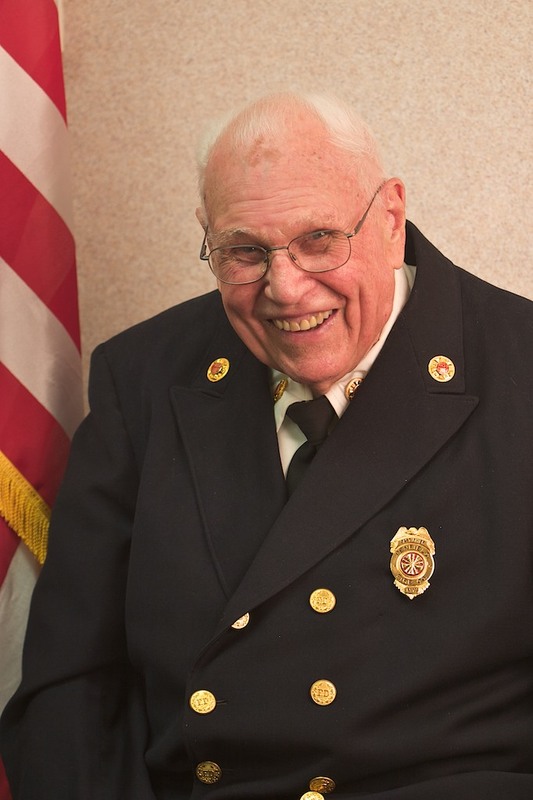 After surviving the war Guy returned to Penfield were he joined the fire company in September of 1946, rose through the ranks and was chief in 1957 thru 1959. Guy ran an insurance business in the town of Penfield for more then 40 years before retiring.